When you were younger, did you ever enjoy those gummy cherry sweets which were as sour as they were fruity? Yep, me too. I loved them (still do in fact) so the option to enjoy the same fruity goodness, albeit in far chicer packaging was always going to be a winner for me. I’m not going to lie – I feel like I’ve had a sip of the Glossier (cherry) kool aid. I’m a fan of the no-makeup make looks they promote, and every product I’ve tried from the line has become a regular part of my routine, but the question of did I really need another lip balm was obvious. And the answer? Yes, of course! Cherry Balm Dot Com is the most colourful of the six shades on offer. Straight from the tube, it’s a pink-toned red which gives lips a just bitten look. 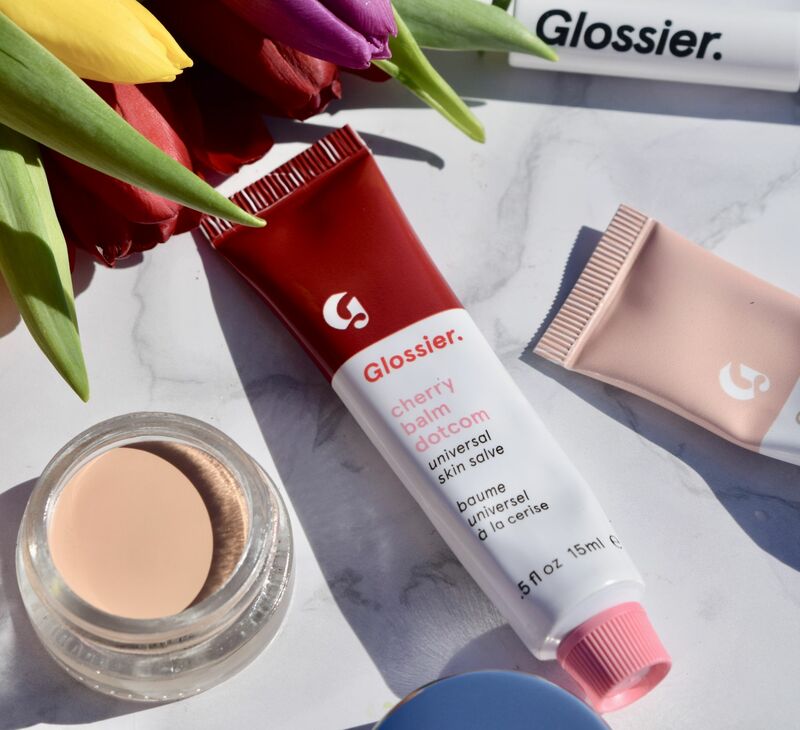 Like the other Balm Dot Coms I’ve tried out, Cherry doesn’t leave lips shiny or sticky, instead it delivers a hit of moisture, scent and with a hint of the prettiest of pink tint. Obviously it’s not a long-lasting product, but it’s so easy to apply with fingers, it doesn’t really bother me. 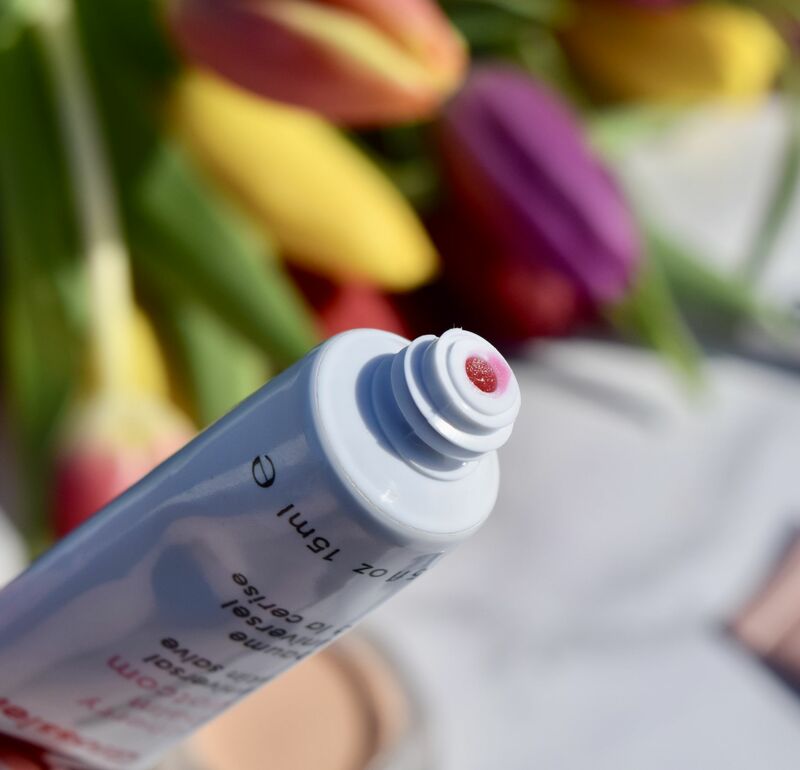 For me, it’s become the perfect product to add a touch of subtle colour to casual summer beauty looks. 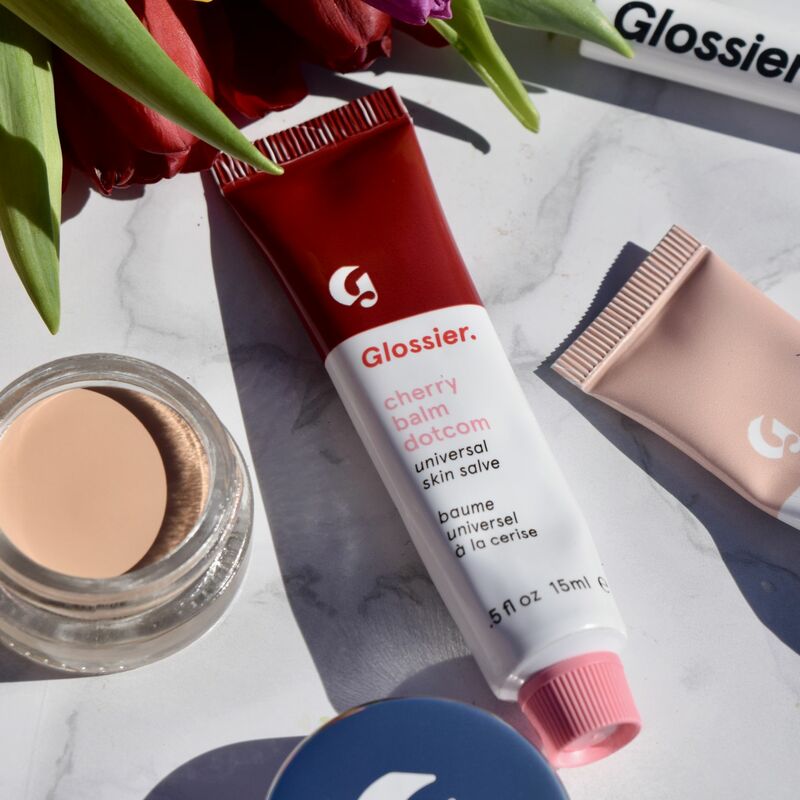 Glossier Balm Dot Com is priced at £10 per tube, and you can find them here.